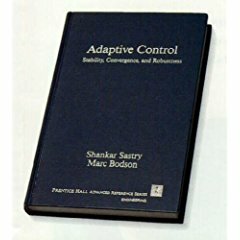 The objective of this book is to give the major results, techniques of analysis and new directions of research in adaptive systems. The authors give a clear, conceptual presentation of adaptive methods, to enable a critical evaluation of these techniques and suggest avenues of further development. The book presents deterministic theory of identification and adaptive control. The focus is on linear, continuous time, single-input single output systems. The book covers the basic aspects of linear single loop feedback control theory. Explanations of the mathematical concepts used in classical control such as root loci, frequency response and stability methods are explained by making use of MATLAB. A trend of investigation of Nonlinear Control Systems has been present over the last few decades. This book includes topics such as Feedback Linearization, Lyapunov Based Control, Adaptive Control, Optimal Control and Robust Control.